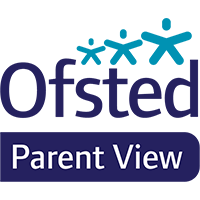 Parents and carers can give their views of our school at any time of the school year and at the time of school inspection using an online questionnaire called Parent View. When our school is notified of its next Ofsted inspection, parents will be invited to give their views about the school to inspectors using the Parent View online facility as this has replaced Ofsted’s paper questionnaire. Please make sure we have your most up to date contact details. once your login has been activated, it only takes a few minutes to complete answers to 12 short questions about aspects such as bullying, the quality of teaching, level of homework etc. Here is an example. Parent Info Parent Info is a collaboration between CEOP and The Parent Zone. The Parent Zone (link is external) was founded in 2005 and has a track record of providing information, support and advice to parents. In recent years, The Parent Zone's work has focused on the impact of digital technologies on families. We provide information, resources and training for parents and those who work with them. CEOP (link is external) is the child protection command of the National Crime Agency. CEOP reaches over three million children and young people a year through its Thinkuknow (link is external) education programme and regularly conveys its vital online safety messages to over 100,000 practitioners (such as social workers, teachers and police officers) registered to their network, who cascade these messages directly to children and young people.